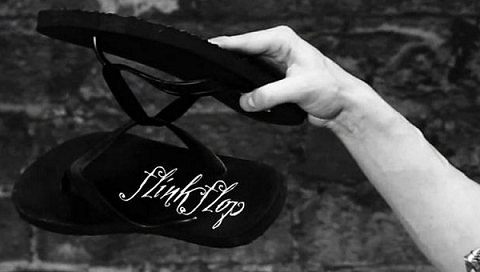 Flink Flop is the perfect summer effect. Borrow an audience members flip flop and place it on top of your own. Curiously, you spin the flip flops in your hand and drop just one revealing that the straps are linked. Your audience can even tug to see that it is not just an illusion. So as not to leave your spectator barefoot you spin the flip flops once more to unlink them. This effect is super fun and easy. Enjoy!